Michael Jackson Homicide – Are Criminal Charges Next? Well, it’s official – Michael Jackson’s death was a homicide. 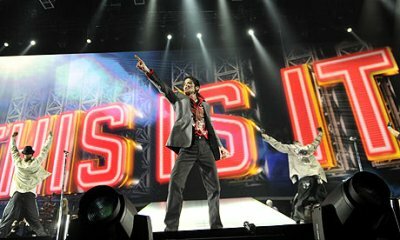 According to law enforcement sources quoted by the Associated Press, Michael Jackson’s death has been ruled a homicide. Search warrant affidavits that were unsealed on Monday in a Houston, TX court show that the Los Angeles coroner’s office found lethal levels of the powerful anesthetic propofol in Michael Jackson’s blood; the official coroner’s report is sealed due to the ongoing investigation. Ruling the death of Michael Jackson a homicide could very well lead to criminal charges against the pop star’s doctor Conrad Murray, who has already admitted he gave propofol to MJ the morning he died – as well as every night for the previous six weeks. The question now is if Dr. Murray’s decision to give Michael Jackson propofol as a sleep aid, and outside of a hospital, would be classified as negligence for an involuntary manslaughter charge. Murray told LAPD detectives he was nervous Jackson was becoming addicted to propofol, so he was trying to wean him off. He’d been lowering the dosages and mixing it with two other sedatives, lorazepam and midazolam. He says on June 23, he gave Jackson two medications and withheld propofol. On June 25 — the day Jackson died — Murray gave Jackson a number of sedatives. When none worked, he gave him a dose of propofol, according to court records. On the morning Jackson died, Murray gave Jackson valium at 1:30 a.m. When that was unsuccessful, he injected lorazepam intravenously at 2 a.m. At 3 a.m., he gave the still-awake singer midazolam. He continued to try different drugs over the course of the morning. At 10:40 a.m., Murray gave Jackson 25 milligrams of propofol — down from his usual dosage of 50 milligrams — after Jackson repeatedly demanded the drug, court records show. next post: KFC Double Down Sandwich. Not Too Sure How I Feel. Michael Jackson is the world’s top music star.People especially his fans pay much attention to the cause of his death .The auther argure that his death is a homicide.Of course people who support this view would like to find out the killer.Did his doctor really kill him?I don’t think so. The doctor just comply with his responsibilities.The top star’s death is an accident. 54 queries in 1.005 seconds.